Diana Aketch, a Kenyan beautician in Nairobi is handing out free wigs to cancer patients who are losing their hair due to chemotherapy. Her goal is to aid survivors to recover and battle cancer related discrimination. Sarah Wangui, a cancer patient in her late thirties, is among those who have faced discrimination due to her condition. “People think that we are different, as if we are going to transmit the disease to somebody. Some people don’t even want to share a seat in a matatu (minibus),” Wangui told DW. “I was diagnosed with stage 3 [breast] cancer in November, they operated on one breast. Now I am using artificial breasts, plastic ones,” she said. Wangui’s hair started to fall off after her first chemotherapy session. She says she was discriminated and it made her feel as if her life didn’t matter anymore. “It started on the first day I went for chemo[therapy]. My hair, all of my hair, I woke up in the morning and I found it on top of my pillow, I screamed a lot,” Wangui said as she struggled to fight back tears. From that point onwards, her health started to deteriorate. It was only after she heard from her friend who is also a cancer patient, that there is a beautician who is giving out free high-end wigs, that her hopes were restored. 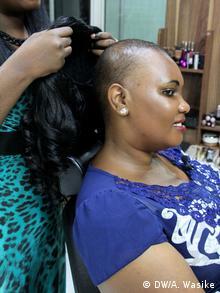 Under her charity known as the Pink Butterfly Foundation, 38- year-old Diana Aketch, a beautician by profession provides free wigs to cancer patients. 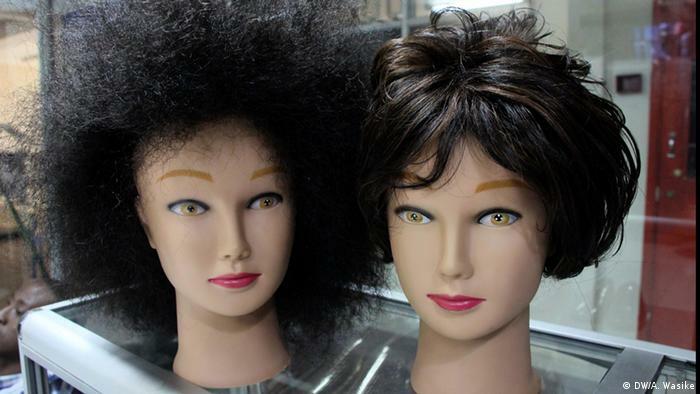 The wigs cost around 25,000 Kenyan shillings (250 euros or $278). So far, Aketch has single-handedly supported more than 30 women who are undergoing cancer treatment. 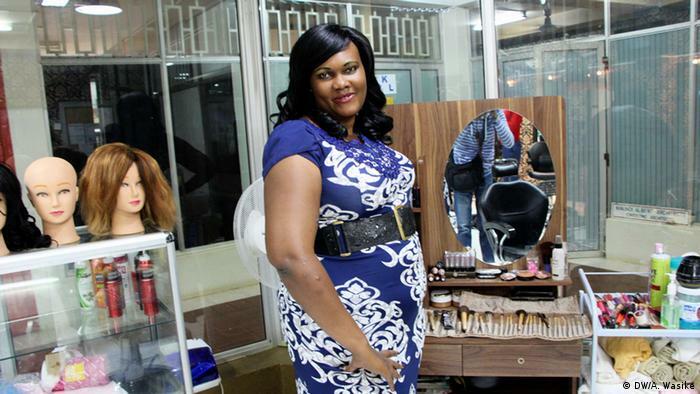 She adds that she has received more than 80 requests from all over Kenya with people asking if they could get a free wig for their family members or friends. Aketch’s idea to start the Pink Butterfly Foundation came about after her friend Lucy Kanana lost her hair due to cancer treatment. She was discriminated against by people who were close to her and who suspected that she had contracted the HIV virus. Lucy later approached Diana Aketch and requested her to make her a custom wig so that people wouldn’t be able to tell that she had cancer. “When she was about to pay me I told her, ‘I don’t want your money, I am going to do it for free’, because I thought she is going through her medication and it’s expensive. She was in tears and it was very moving for me,” Diana said. “That is how I came up with this program,” she added. Aketch says that she has never turned anyone away, what she does is add them to a list and hope to deliver the free wigs once she gathers enough funds. Well-wishers and some of her clients have been contributing to her Pink Butterfly Foundation. “We accept any support because we want to reach as many people as we can. The few cancer survivors that I have met, believe me it has been a big boost to their self-esteem…it is amazing,” she added. According to the Kenya Network of Cancer Organizations (KANCO), each year, 39,000 people are diagnosed with cancer in Kenya.